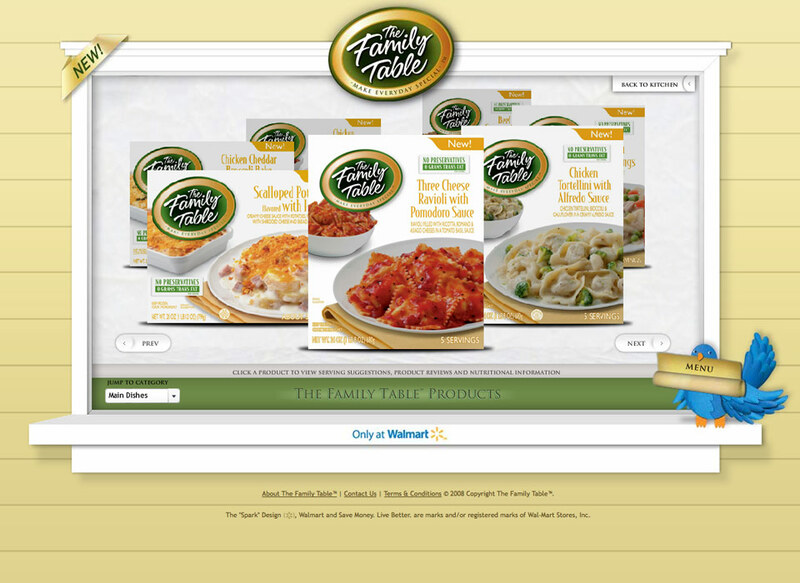 Bellisio Foods created a line of frozen foods called The Family Table that is only available at Walmart. 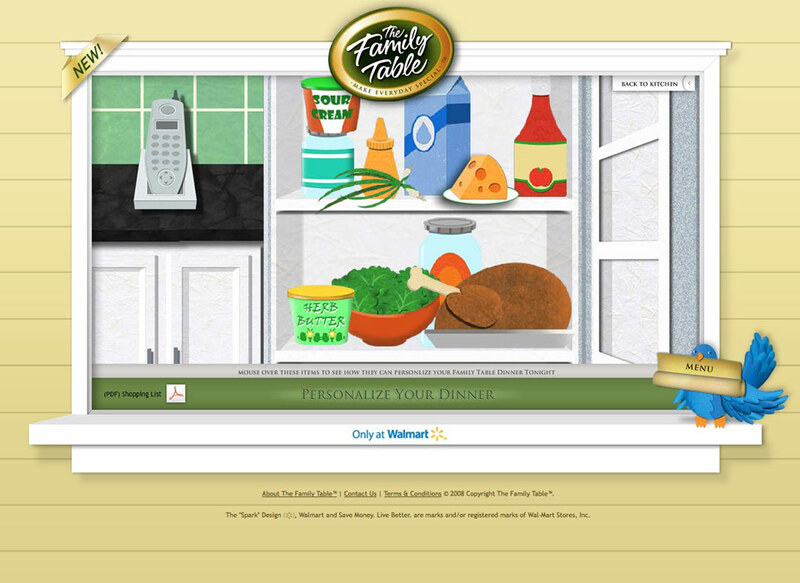 We created a website that is packed with product information and interactive features. 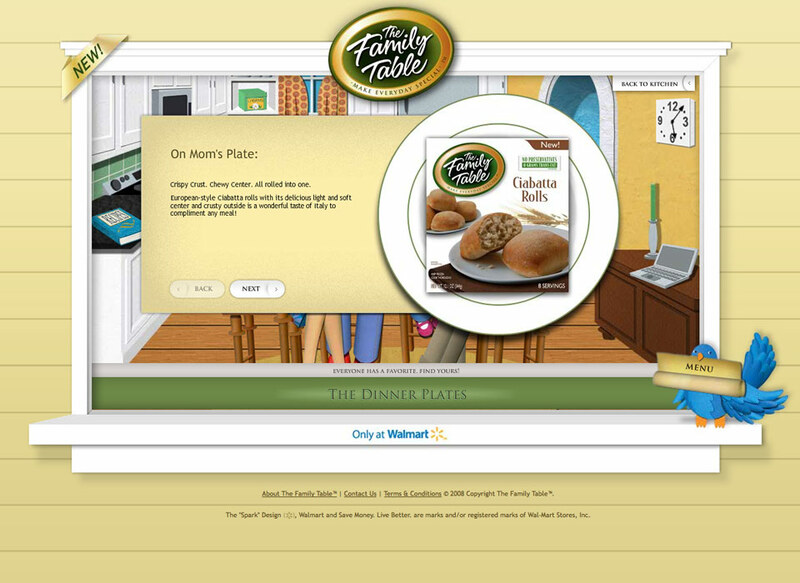 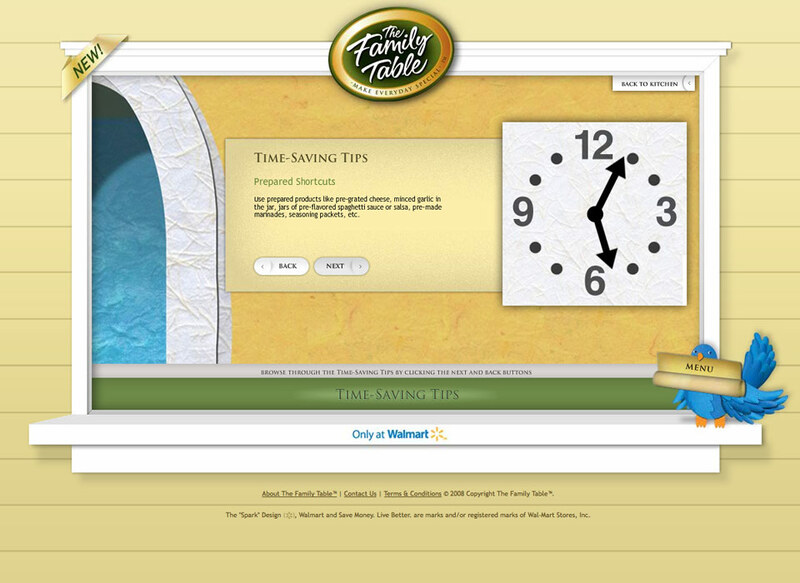 Users can create online recipe collections, send family members meal-time reminders and post comments/product reviews. 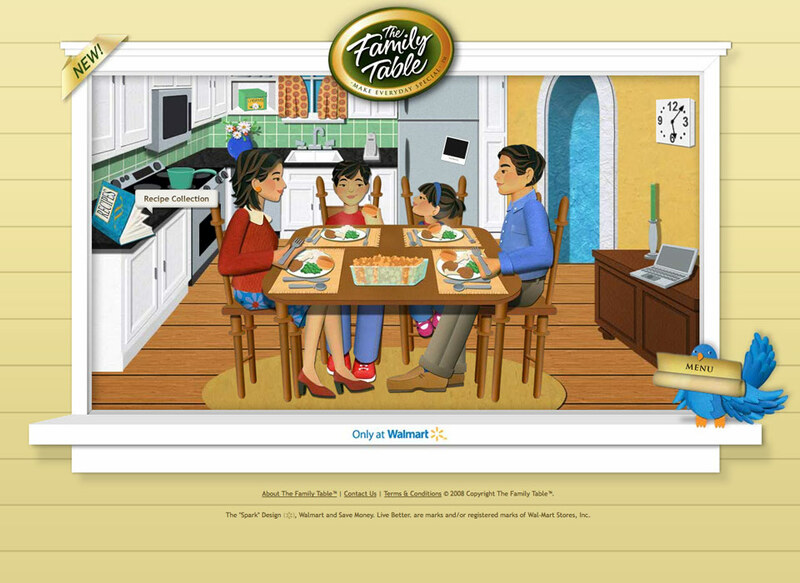 The entire site is an interactive experience with an illustrative, quirky style. 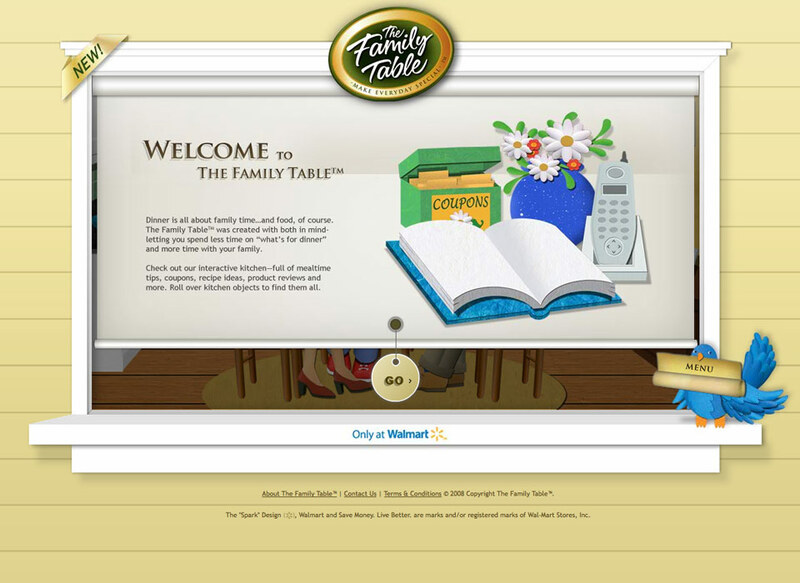 We had custom paper illustrations created for the website to give it a fun, fresh look.